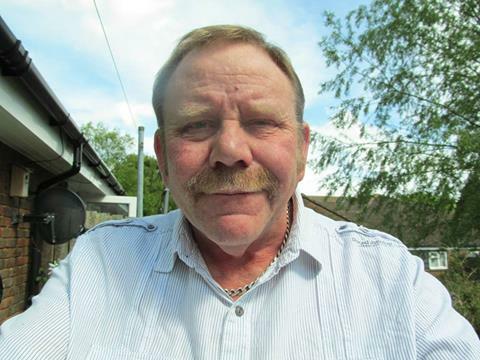 I am Kevin I am 57 years old and I live in England my problems started about 50 years ago at a time when even less was known about this Disease and if you had pains they where growing pains or imagination. Treatment was nothing or pain killers. It took 23 years to get a diagnoses. 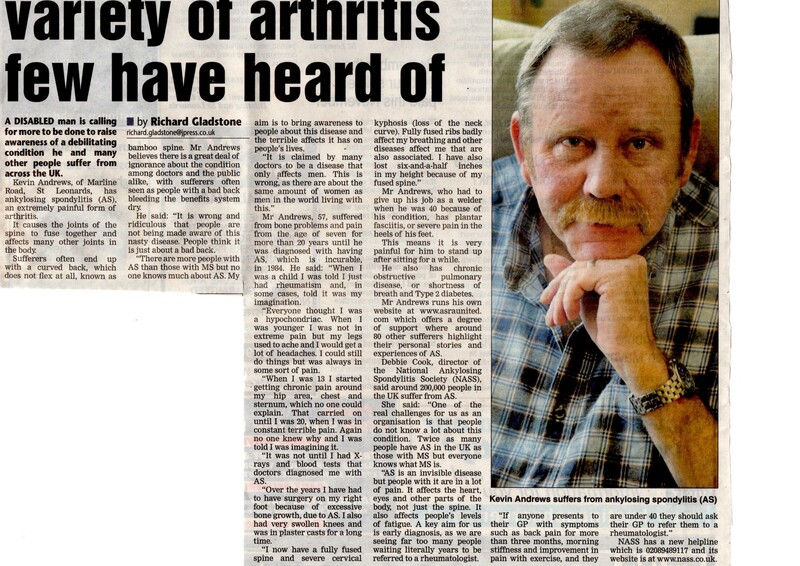 Exact words from Rheumatologist who gave me diagnosis. (You have Ankylosing Spondylitis it is a rare disease there is no cure and you will end up in a wheel chair goodbye see you in 6 months). 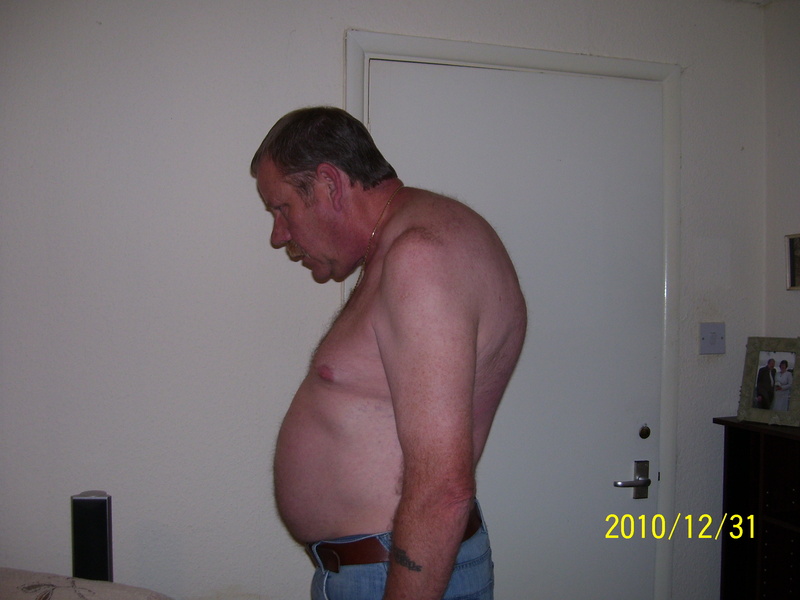 As you can see from my photos I am a classic case of Ankylosing Spondylitis. Its not a pretty site I know but this is me. I cant change the way I look I used to try and hide it avoid mirrors and shop windows and refuse to have my photo taken but recently realised what’s the point every one else can see me. Hiding from myself is not changing the way I look to other people and is just making me miserable. 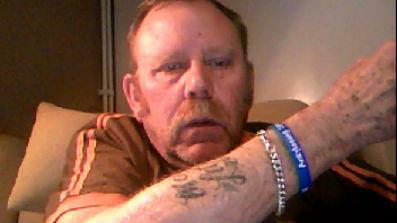 If I didn’t have Ankylosing Spondylitis I would not be me as I am now my whole life would have been different. I wouldn’t have my wonderful Daughters and Grandchildren I wouldn’t have met Joanne my very supportive wife. 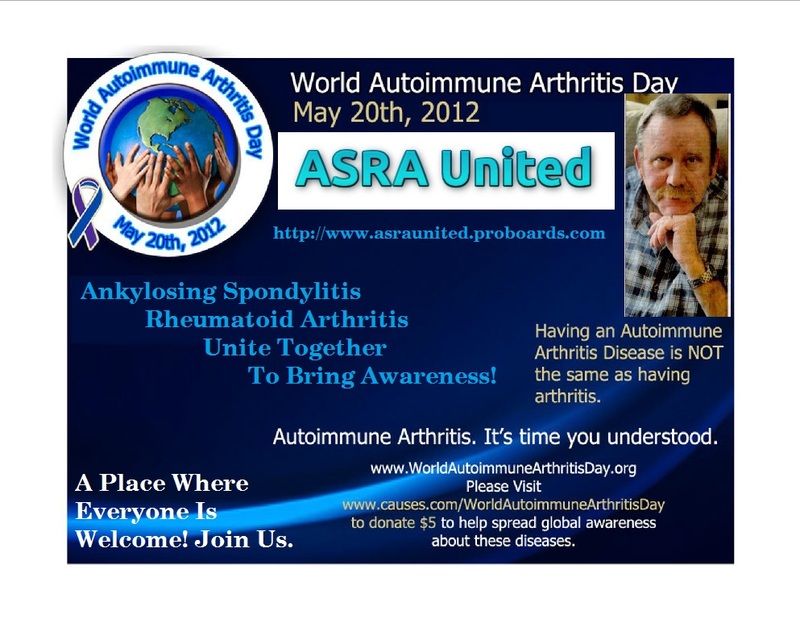 And I wouldn’t have met all the wonderfull friends I have who like me have Ankylosing Spondylitis. So although AS is a very restrictive painfull disfiguring Disease remember you wouldn’t be the wonderfull people you are without it. My aim is to make as many members of the public aware and under stand what we go through in our every day lives how we are not different from them we all bleed the same we all love the same just because some of us are bent over or fused bolt upright we are still human. If they want to stare I will stare back if they want to know more then ask we don’t bite. I have only known one person to stop and ask what I had wrong with me in all my years with AS. Talking is what spreads the word and makes people aware of us and our lives. Hiding from our selves and our fears does not help us or make others aware. Always remember people with AS are strong in mind if not in body we have to be tough to survive in this world with all our problems always think positive enjoy your life as best you can even with your restrictions you only get one shot at it and most of all remember what we do for recognition of Ankylosing Spondylitis today and in our life time will make all the difference to the new generations of sufferers. Ok it’s been 21 months since Cookie was inspired to start faces and I am 58 now and feeling 98 but proud to have been a part of this. And proud of the way it has grown I know Cookie felt at times it was never going to get to the 1000 members but we are almost there now so I think it is time for me to do an update on what life has been like for me in this time. I have had ups and downs like we all have some worse than others I have had good times and bad times pain free times and very painful times. Since my original post I have separated with my wife and I am on my own again she has moved back up to Yorkshire to be near her children. This I understand living with a person with severe AS is not an easy thing to do we’re still friends and we talk most days on face book. I have now moved into a disabled person’s bungalow and have two dogs, fish, and two Geckos for company they keep me occupied and a reason to get up every morning. Now health wise well my Ankylosing spondylitis has continued to progress in the usual way my kyphosis is more severe now and I only have slight movement left in my neck all my vertebra are fully fused from my tail bone to my skull apart from one in my neck which is fusing slowly and it will only be a matter of time before its solid. I have Neuropathy affecting my feet and hands and ostio arthritis is now showing on my x-rays in my hips and feet and hands. I have bone spurs in my shoulders and heels and suffer with planter fasciitis in both feet. I was taking Enbrel the biologic drug but had a reaction with it that caused me to have constant Iritis which caused me to develop fast acting cataracts which I had removed last year. I do still get pain in my iliac joints and spine but only if I overdo it most of my pain now days is in my other joints shoulders , elbows , hands ,knees, hips, feet and of course Neck . The only drugs I take for my AS are Co-codamol 30/500 4xaday and I’m taking Amitriptyline for my Neuropathy. The Neuropathy is also caused by my Diabetes which I’m still struggling to get under control troll up and down like a yo yo not good I’m taking more insulin now a fast acting injection before meals that helps but still needs to be better. My IBS is about the same good days bad days and very bad days but hey what can you do just carry on as best I can. C.O.P.D got very bad for a while was wheezing and having trouble breathing day and night it could be Fibroses as I get pain across the top of my chest which hurts when I cough. I have a new turbo inhaler which is great the best I’ve ever had really helps. Had an Angiogram done to check my Heart no blockages thankfully I do have thickening of the walls and my heart beat is a bit weak. The Rheumy told me recently my heart is on the large size which is a part of AS and Diabetes so double whammy there do I get extra points. My Depression and my fatigue are not good feel tired and life less a lot of the time from the fatigue I try and keep busy that helps on the day but next day I’m even more tired and weary. My Depression is in a bad place a few months back I got very low and demoralised as some of you probably noticed I wiped my friendship group from faces removed myself from all my groups and just went into shut down mode for several weeks I’m still not in a good place up and down was taken of the antidepressants I was taking because of being put on the Amitriptyline which is an antidepressant I am only taking a low dose because it has bad side effects but think I’m going to have to increase the dose soon or be put on another drug I’m getting every emotional and down . The years of AS and all my other problems are really getting to me now and it’s a fight to stop from going even lower. My Rheumatologist has now told me there is nothing can be done for me except monitor me and help with the pain if I need it so I will just continue to see him every six months and I can ring him direct if I’m having issues I am worried about. I’m sorry this update is not better and more cheerful but thought it was time to do it. And hey I’m still not using a wheel chair lol. I wanted to thank you so much for having the courage to post your pictures on line for all of us to see. I’ve been blessed to witness so many amazing people in our A.S. community doing phenomenal projects to raise awareness for Ankylosing Spondylitis. I’ve helped with many projects in little ways. I have wanted to do something that would result in a positive way in raising awareness on this disease. One of the things I have struggled with the most is the what if’s? What if I had been diagnosed earlier? What if the doctor would of told me I would fuse and couldn’t bend anymore or turn my neck? What if someone would of told me about what may or could happen? Hi Kevin, Thanks for including your story and being the first to start this off. You know, I avoid being seen or being able to see myself too (I especially hate my shadow following me around), but so far I have been able to come out of hiding for my AS friends. You are a good leader and a better friend, Kevin. Thank you James I know it is hard for you and I admire you for doing it I am proud to have you as a friend. I have many plans for asra and I’. glad to have you there to be a part of it. Thank you for being a friend. You have helped me so much as I continue to struggle with this disease. Although it has been hard at times you have been a true inspiration for me. Thank you for sharing your story with us. It is a sad thing to have this horrible disease but I am glad good things came out of it for you as well. I have had bad experience with people and doctors as well. Many have no compassion and regards to others feelings. I used to be ashamed of what I have become because of this disease, with all the friends I thought would always stay friends have left, became unemployed, all the things I worked hard for years are gone in an instant, my home taken away, my social life gone, my dreams and aspirations are down the drain and so on… Reading your story made me realize more that it doesn’t matter what other say, whether they stare, point or give you the look. What matters is that we are alive, fighting and doing our best to move on and live our lives as happy as we can. I think he is amazing too. He is one courageous man and inspiring so many people to take charge of their lives and make a difference. I am honored to call him my friend and humbled he calls me his. Dear Freinds: My Name is Kevin Horton, I was diagnosed with A.S. back in 1981, i was 18 years of age, i broke my back at the age of 14, and a few years afterwards is when the doctors found out i had A.S., my lower back and my neck is fused, and i have trouble walking because my hips are in constant pain, my left eye is fuzzy at best and cloudy the rest of the time, i am lucky to have 4 hours of sleep in a 24 hour period, i have tried every possible med there is to offer for this awfull disease we carry, i worked for the federal government for many years, till i was not able to even function to get my self dressed, and got out on a disabilty, i have looked for years for a site such has this one, and just located it 2 days ago, i have read so many peoples ailments and it breaks my heart to see how others suffer just like i have and still do, i to am ashamed of the way i walk and get stared at, i lost everything i worked so hard for over the years, but i am still walking best i can and will continue to do so till my name is called upon, after reading some or most of these stories in here, well i thought i had it bad, only i was wrong, it makes me feel sad and my heart goes out to all who suffers more than i, i know what everyone is or has gone through like them non caring doctors which i have had and no longer care to go to, just because he or she has a PRIM AND PROPER LIFESTYLE these doctors, i am without a doubt they could not endure 5 seconds of the pain we all experience daily, my heart goes out to each and everyone who has this terrible disease, and i just thought i had it bad, may god allways be with you all with every step you take, i can only pray that someday soon they will find a cure. Thanks for that Kevin it is not often that I see someone who has suffered from A.S. almost as long as I have and whose posture is much the same as mine. Thank you Kevin for your courage to share your story! Very inspirational!! Thanks Kevin I have suffered for over 35 years with AS Myself and been thru a lot of pain I was diagnoised sept of 2012.My thoughts our with you. I have had AS for 8 years and was not able to go into the popular drugs which are specifically for SA. I was already a COPD patient before i had RA. My RA was caused by food poisoning, B——- frozen food from the grocery. It went from food poisoning in 3 days. My feet and legs swelled until I had to buy shoes 2 sizes too big. I did not experience any pain for the first 2 or 3 months or so. It started gradually at first. I went to a team of doctors at the main clinic in NE Texas. They were baffled. I was x-ray’d, sonar’d, electrified, (checking the nerve endings) cat scanned and blood worked until I was anemic. I think I may quit glowing in the dark around Spring of 2017. They didn’t have a clue. My daughter is a nurse, an RN. So we got on the computer and began to chart the symptoms. My last two were Lou Gerhigs’ and AS. Two of the symptoms did not fit into the former, so AS it was. Of course the doctors did not believe me. My daughter said I should see her doctor. Which I did, Thankfully. He immediately asked which symptoms I had. So I knew he knew what it was. My problem was the COPD. I could not take the treatments. Then I saw in Mayoclinic.com where they were having a great result with antibiotics and steroids. (Oh…I forgot. The only painkillers I can take are nsaids and hydrocodone. Anything else makes me sick. I scare most doctors when I hand them my drug allergy list.) So…back to my new doctor and Mayo Clinic.. I take anitbiotics every 3 to 8 weeks. I usually know its time when my kidneys quit working. I take a graduated dose of the weakest steriods on the market, working my way down from 6 a day to 1 a day. It works!! I have met many people who take the regular treatments. Two have developed cancer from the medicine. So far, I am doing very well. I am 66 and still work 5 & one half hours each day. I have had to give up the filing, which made my check a little bigger when they used me to file, But my movement is exceptionally good for an old lady with arthritis. I will see a specialist next week as my neck has been very painful lately and I’ve been in a neck brace for 6 weeks now. I get tired but do okay with just 5 & onehalf hours. I can’t work in the garden (veggies only) for more than 20 minutes at a time when our Texas heat is severe. I work around it. I only have a lot of pain when the weather changes….and…. the steroids and antibiotics have all but gotten rid of the asthma. I have only used the nebulizer 3 times in the last 18 months. I thank God for my daughter and my Doctor. Keep up the work with this website. I just found it. Will be joining soon. God bless you all. Thankyou so much Kevin for showing me and inspiring me about how AS can affect me and others like us – AS friends. I’ve had to learn to emotionally accept this condition I have and it’s sure been a struggle with depression. Now I’m starting to accept it – always look for the positives in each and every day, do my exercises and meditation , take my meds – I’m lucky to have finally found good doctors who care and know about AS. I also have a wonderful and supportive family. Thankyou again Kevin and best wishes from Australia. Thanks so much for sharing. It’s so hard to read these…a brush of reality, a reminder of our pain, yet inspirational as well. I can relate to your story. We spend so much time fighting, struggling an having to remain strong. It’s hard to show a moment of weakness. Yet we all experience them, probably more than any of us will ever show. I appreciate your honesty and your story. I wish you good health and peace with what you are faced with everyday. Good luck to you. Keep us posted on your status. If not for us but for yourself as well. Talking about it relieves us of our burden at times, great stress reliever! Thanks again! Hi Kevin, thank you for sharing your courageous story. It’s an inspiration for me. I am learning that it doesn’t matter what people say about us. This morning I went through a lot of hurtful tears from my neighbor questioning my Faith in God. Comparing me to her uncle who had stage 3 lung cancer and beat it!! A true blessing is what I told her. She let me know that my Faith wasn’t strong enough and my belief in God was not strong enough or God would have healed me already. I responded humbly and told her, I am healed in my heart. And I am a walking miracle just like anyone else fighting anything in life. I sent her the Serenity prayer and also told her that I accept my life each day. Even the new changes having to wear a neck brace because the pain in my neck is so unbearable. I cried this morning. I also sent her your story so she can understand how thankful I am to be fused upright. Like yourself, I am single and I am ok with it. I have learned that “when you walk with love, you never walk a road alone” I believe this. I have always been a beautiful individual person filled with love and because of AS and other related illnesses, I am filled just that much more each day with love and a breath of fresh air. I am crying as I write this cause it really hurt me that an individual, a neighbor, I call a friend, would be so cruel. Words and the way people think ofyou ….. But I prayed for her and two hours later she knocks on my door and hands my son a plate with pancakes and strawberries for me. A beautiful “pitty” gesture but where’s the, ” I am completely apologetic to you and I should have asked you first instead of saying mean things to you” I didn’t eat it, I can’t eat pancakes because they are too heavy for me to eat…told my son he can have them. I am a true believer in God and for someone to question my belief??? Uncalled for… Well, I just wanted to share that with you, as we all need to vent to those who understand, we don’t need sympathy, we need people to have empathy to understand our conditions. My prayers are with you Kevin and I will pray to God that he changes the heart of my beautiful neighbor who simply just doesn’t understand. P.s. I think I need to update pictures soon, as I cut my hair short because I can no longer manage it and being in a neck brace in this flare of over 17 weeks…weight is dropping. 😉 but I do stay smiling and positive!!! I’ll never give up meeting you in person either, just as I told Cookie. I have this on my Vision Board ! Big (((hugs))) to you Kevin – you are inspiring beyond words! Hi Kevin, have just read your story, I sympathise with you, I myself struggle with my body image and when out in public I literally am trying to bend backwards to fit in but am inspired by your story, I plan to join this site because its members understand the issues and struggles associated with AS, I myself struggle with depression and anxiety but having joined some AS groups on facebook I realise that im not alone, hope you are doing well and life is good, thank you for sharing your story! Hi. it was very interesting reading Kevin’s story, if rather alarming also. I have recently been diagnosed with COAD (COPD) and my lungs are trying to find space to expand. The chest pain has been increasing for about 5 months now as the restricted movement of my ribcage prevents this expansion. My GP does not want to prescribe NSAIDs and the Respiratory Consultant has told me (nearly 3 months ago) to come off any inhaler therapy (corticosteroids, anti-inflammatories). Only just seen a Rheumatologist today (11 months after my initial visit to the Respiratory Consultant, who also misplaced my lung function tests for about 5.5 months), and straightaway he recognised that my AS must have flared up again (about 28 years after my first problems were encountered, aged 20, when I would crawl to the toilet at a snail’s pace). My BASDAI score was around 7 I think. His intention is to get me on to anti-TNF- alpha treatment, but I have to wait another 3 months for a repeat of a BASDAI score >4. My lung function is deteriorating quite rapidly and seems to be having an effect on my voice too – it is often hoarse (even before taking any steroidal therapies), and for a schoolteacher, this is rapidly becoming a concern to both my employer and me. Why does everything take so long. I’m 48 and may have to consider early retirement if things don’t markedly improve soon. PS I, too, have a bit of a pot-belly, and it annoys me when people assume that I am either over-eating or a heavy lager-drinker! I am told to exercise ……… if only that were so easy. Never mind! On the positive side, I know nothing about the prognosis of the AS, the COPD or IBS (which also seems to have been more of an issue in recent weeks), so I might be around for a little longer yet, to enjoy my 6-yr old daughter maturing into a lovely young woman.